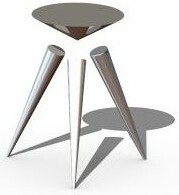 Tripod Innovation provides custom engineered solutions to unique challenges. We offer Mechanical Design and New Product Development services, and apply our expertise across many industries. Our commitment to all projects of all sizes is just one reason clients partner with us. Our proven ability to solve difficult problems with patented designs is another. We invite you to browse our site, review some of our past projects and current capabilities. You are welcome to contact us anytime to discuss your current or anticipated needs. We look forward to hearing from you.